Last week suffered from the results of Hurricane Ali with strong south-westerly winds during the last half of the week. I decided to stay at home but the weather on Thursday looked much better than forecast so after a quick phone call to check it was still there, I went to the Wildlife Trust reserve at Welney to try to see the juvenile Pallid Harrier that had been there for a few days. I was assured that it regularly flew past the Observatory in the afternoon and a fellow photographer showed me some excellent photos to prove it - except that it didn't and was not seen all afternoon. Call it Sods Law. 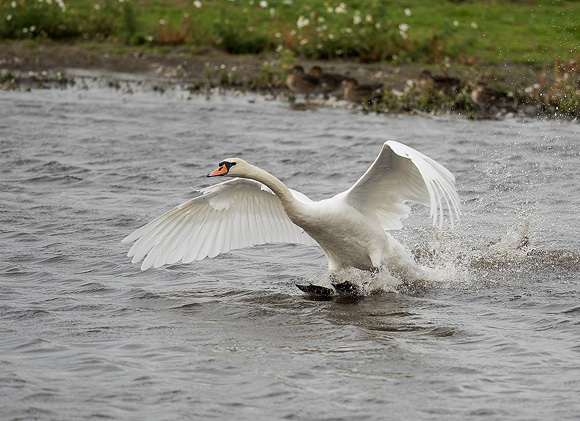 and a Mute Swan landing, both in the strongish breeze. So I resolved to go back the next day, Friday, to see if I could do any better, arriving just after opening time. 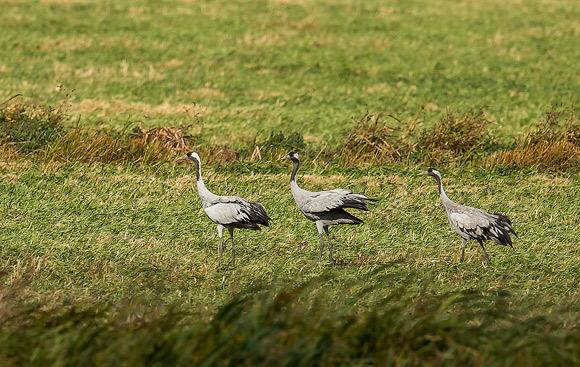 My friend and I spent some time in the observatory with the only highlight being a small family of three Common Cranes that landed a distance away but still worth a punt with the camera and the 2x converter, despite the strong wind. 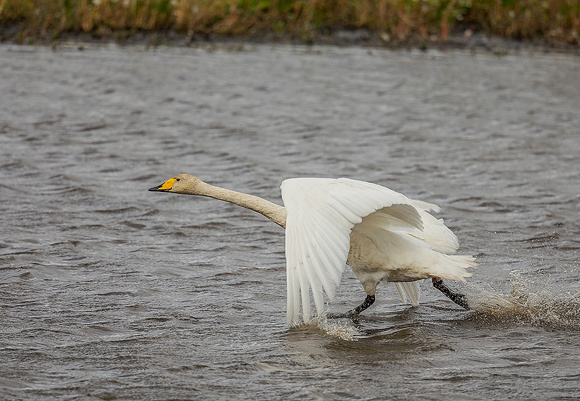 Surprisingly, there was a pair of Whooper Swans, very early for these winter migrants, but we were informed that this pair were residents and unable to fly. This proved to be the case, despite strenuous efforts on their part with no success. 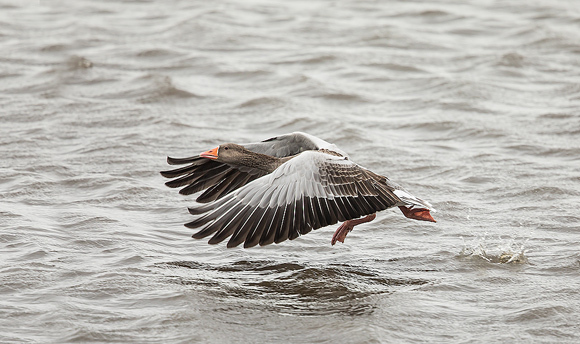 We then moved to another hide from where our target bird has been seen earlier, before the reserve had officially opened. 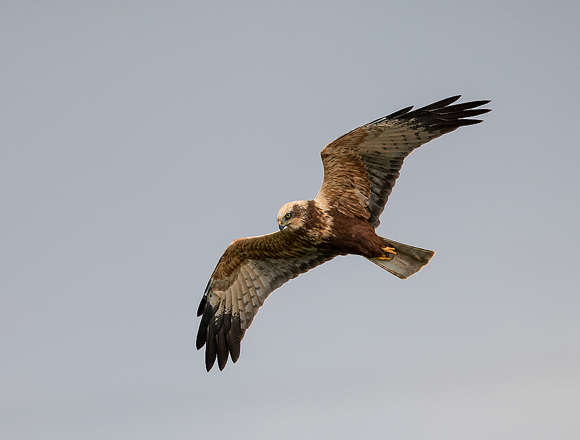 It was very busy with other birders/ photographers with very little happening for a while except for a close flypast by a male Marsh Harrier. A family of Mute Swans kept my interest for a time. 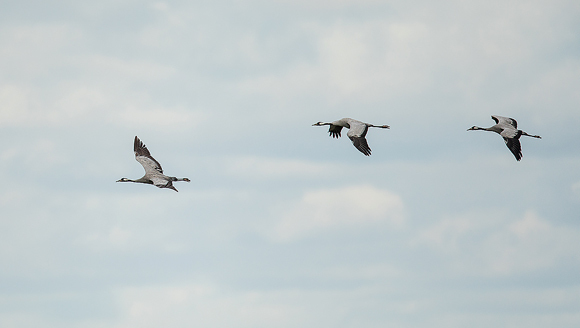 I was hoping for a shot with the adult and all four juveniles with their heads up but they did not play ball. 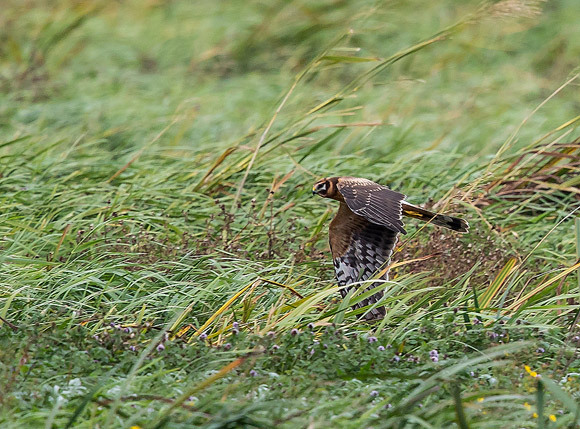 Then our target was spotted but it quartered the grassland very low to keep out of the wind and kept it's distance, making it very difficult to get anything other than record shots. 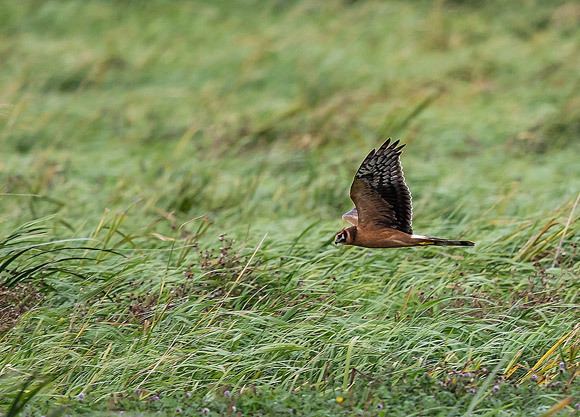 Pallid Harriers nest in far Eastern Europe and migrate south into the Middle East so this juvenile female was way off it's normal migratory route. Still, apart from only seeing a male some some years ago that was several hundred yards away, this was my first proper sighting so worth the trip. A very beautiful bird. It was last seen heading towards the observatory, so we quickly headed there but it had not been seen and we did not see it again. 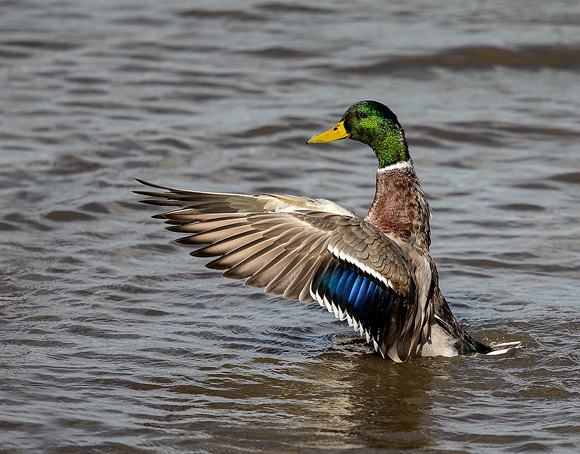 All that attracted me to excercise my trigger finger was a drake Mallard that was bathing and ended with a colourful wingflap in the one odd moment of sunlight. We stayed until closing time.